Make the most of the most important place on earth – home. Owning less creates an opportunity to live more. 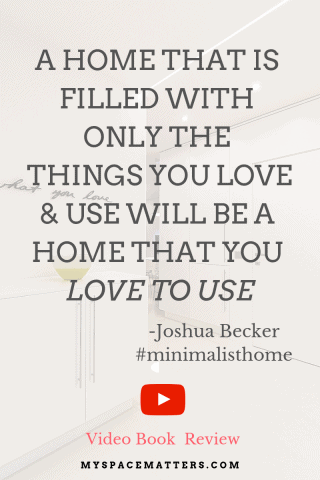 A home that is filled with only the things you love and use will be a home that you love to use. Believe it is possible and take the next step. Not every possession is belonging. Leave nothing on the floors except for furniture. What we think about first in our day and what we think about last really matters. As choice increases, so does paralysis of decision. It’s better to have extra time on your hands and extra money in your pocket than extra stuff in your closet. Just because you have the space doesn’t mean you have to fill it with stuff. Keep the best and get rid of the rest. The first step in crafting the life you want is to get rid of everything you don’t. 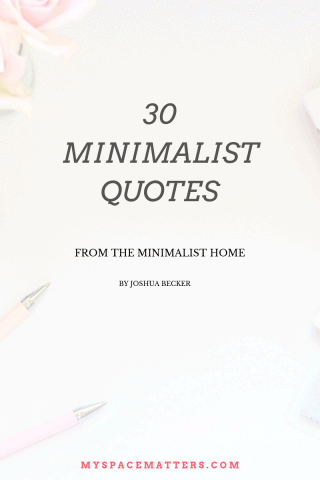 In all areas, minimalism maximizes our potential. It feels better to do stuff than to have stuff. Some storage is fine, but too much storage is a mistake. Let your regret about how much you have to throw away reinforce your determination not to buy so much in the future. 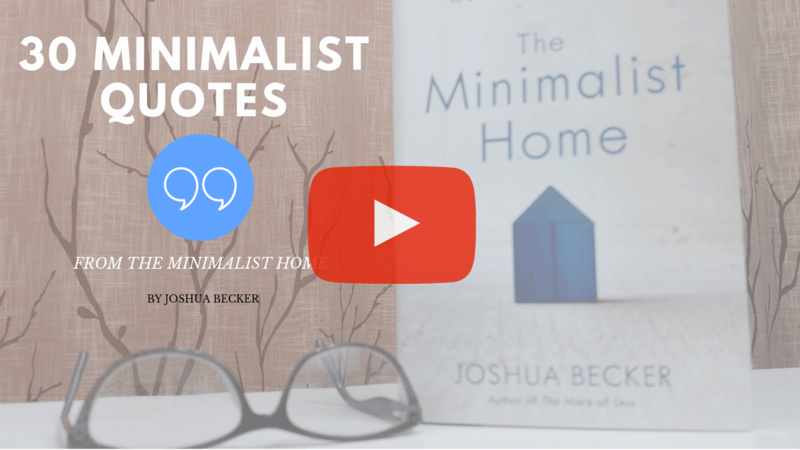 Minimizing forces us to confront our stuff, and our stuff forces us to confront ourselves. Be remembered for the life you lived – not the things you bought. Today is the day you rid yourself of anything that distracts from your best life. Be remembered for the life you lived, not the things you bought. 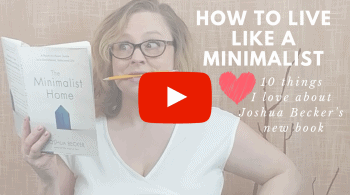 Read more about The Minimalist Home book in my video post “How to Live like a Minimalist” and Joshua Becker’s blog “Becoming Minimalist”.